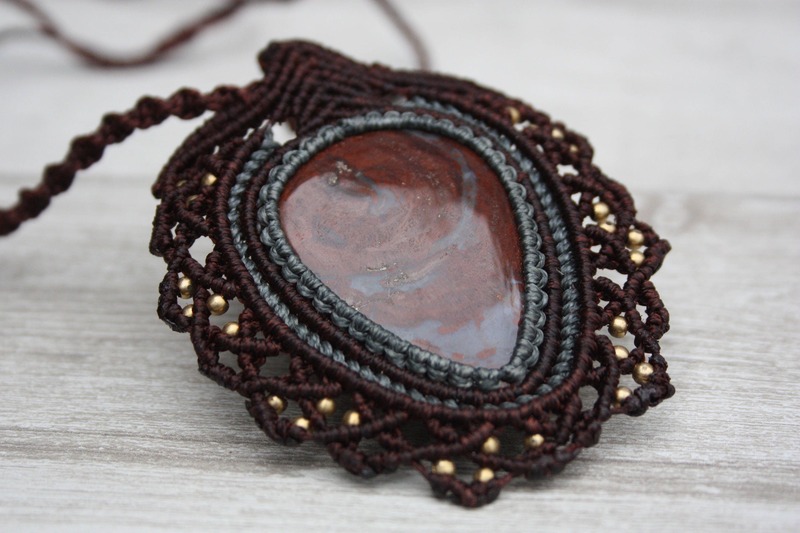 Macrame is the art of knotting string to create patterns with intricate detailing. 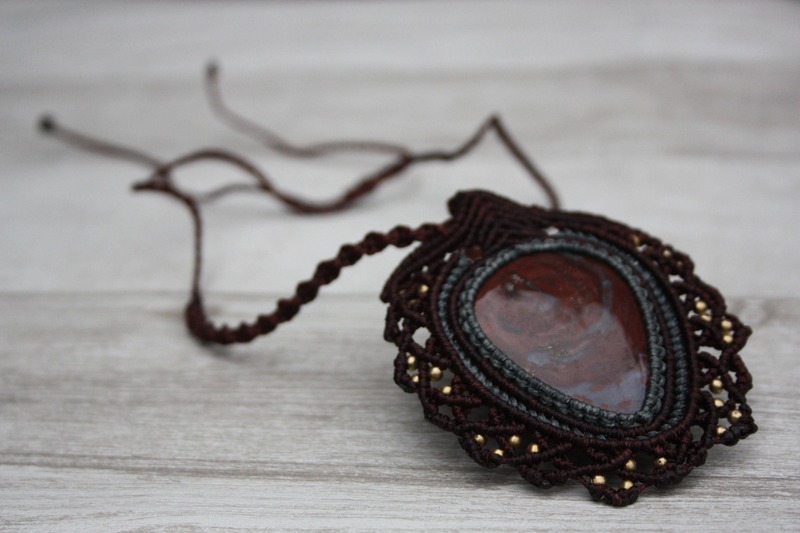 While travelling in India a few years ago I picked up the art of doing macrame and fell in love with the practice as it is one you can do on the road! Now whenever I travel, I spend my time treasure hunting to find amazing one of a kind crystals to turn into incredible bespoke pieces for you to wear. 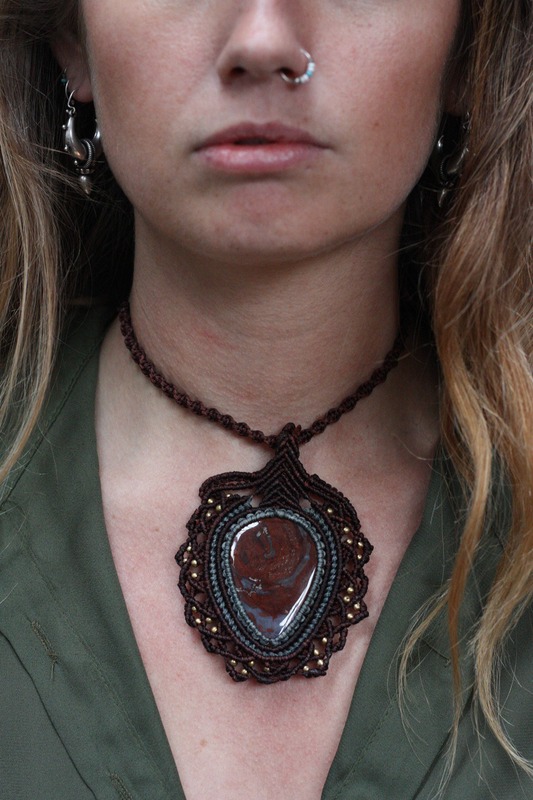 This statement piece has been made using Brazilian waxed string and a high quality healing crystal and beads. The necklace is fully adjustable meaning you can wear it as you'd like. 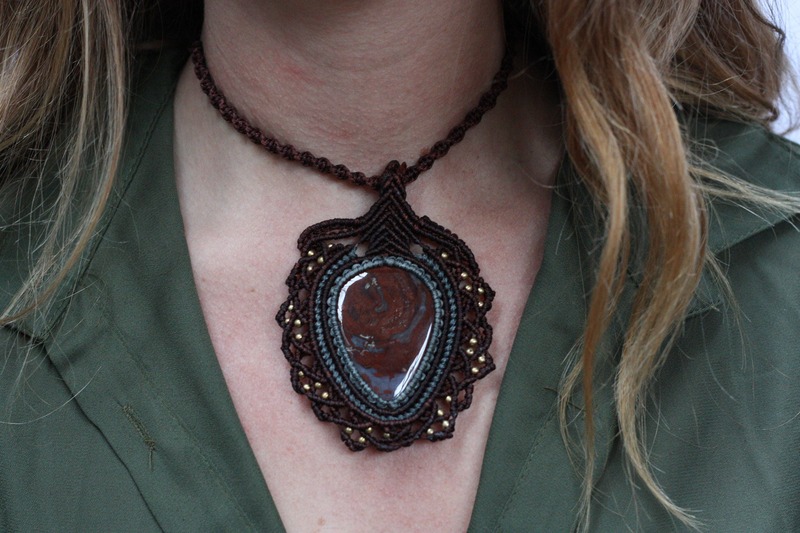 Due to the handmade nature of our macrame jewellery, we only have ONE of each design and due to time constraints back home I can't make any more. 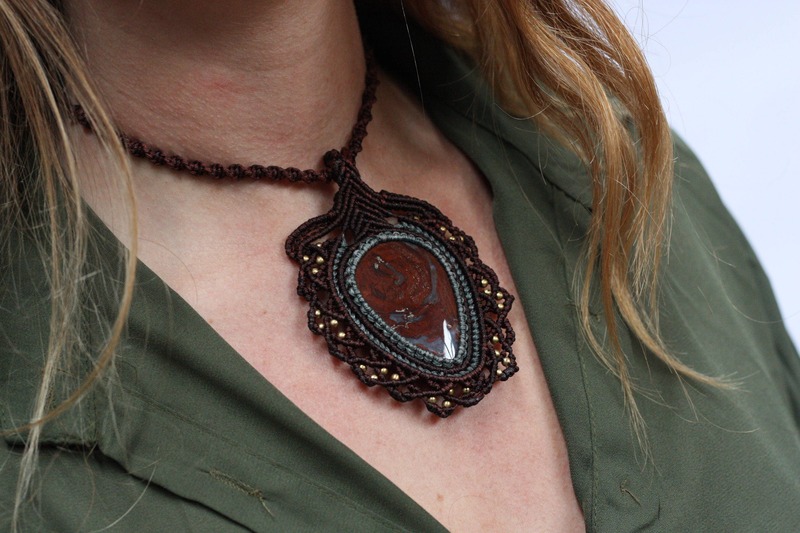 This is a totally bespoke and one off piece of wearable art. When you buy this piece you really do get something as unique and amazing as you are. 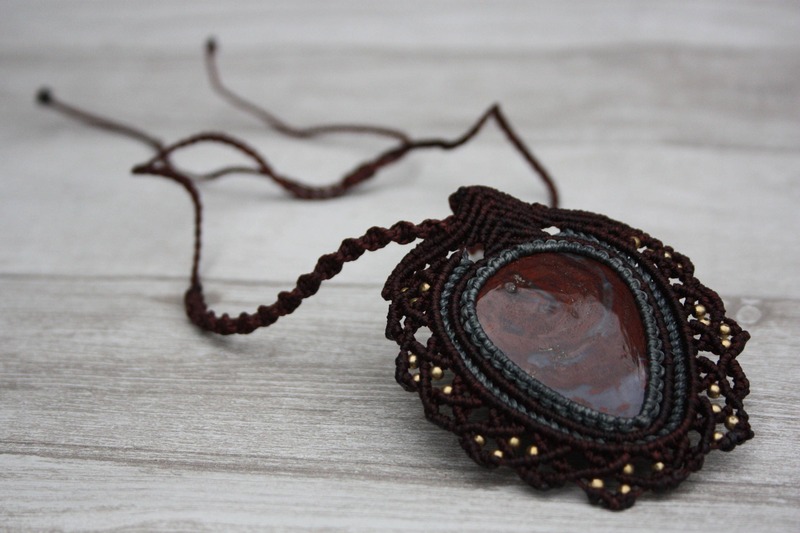 Materials: Macrame String, beads, crystals.